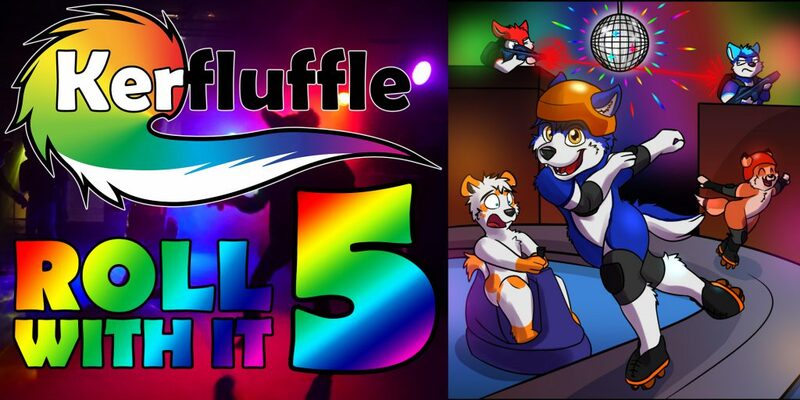 Kerfluffle 5 – Roll with it! Kerfluffle 5 took place March 31st at 9pm and ran until 1am. An incredible 140 furries came to this event, making it the largest Kerfluffle to date! Listen to DJ Louie’s set on MixCloud here! Check out the original EventBrite ticket page here.